Sometimes in life, you are pleasantly surprised…. Sometimes a good surprise and sometimes a bad surprise. I happened to experience a good surprise over the weekend when I tried my buddies MIG weld 140. It’s a really solid welder that laid down some nice beads. 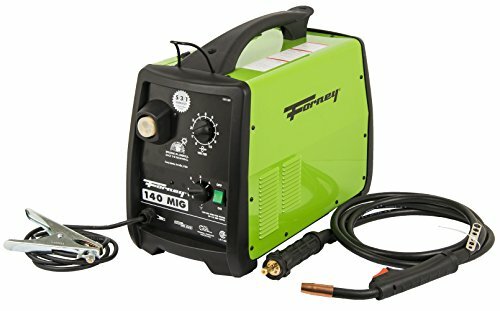 Since it was my first time using this Forney welder and I was impressed, I figured I would write a review to share my findings. We are going to break down the good and the bad on this little welder, and help you make an informed purchasing decision. I always want to help you get the most for your money… so you can always have a few extra bucks for cool stickers and a sweet hood. There are a lot of good welders on the market and plenty of crappy little $99 box of bolts too. Don’t believe me? See this. I know exactly what you’re thinking! “ If I can buy a $99 dollar welder, why would I bother with a more expensive machine”. I get that question all the time from new welders. And I’ll tell you exactly why you want to consider the Forney. First, it’s a great American brand that’s been around for over 75 years. They have great customer service willing to answer any question about your welder and welding. And finally, you get a great warranty standard with your purchase. See if your bargain basement welder has any of that. As a new welder, it’s important to have support for your questions and support for your welder. So really the increased cost translates to a better overall value for you. And anytime you embark on a new project or skill you’ll need all the support you can get. Let’s take a closer at the machine itself. Uses Tweco parts. These are precision engineered parts used on ESAB machines. 5/3/1 warranty standard – just like the Hobart machine I highly recommend. Euro connections. Quick connect and disconnect your gun and ground clamp. Manual’s are not well written so you may need to supplement with some youtube support. Or a phone call. 20 amp circuit is needed in your home – which might be an issue. 8ft length cord. I generally recommend a 15ft cord. It makes a big difference. Need to purchase a regulator for MIG welding gas setup. This little welder has a lot going for it: It’s well built, there is a great warranty and you’ll get quick phone support. If you do end up buying it, keep this in mind: there are two upgrades you must do. You will definitely need to upgrade the clamp. This guy wrote a super in-depth review … it’s worth a read. However, he said the camp is heavy duty. Nope. This one is. You’ll really want to consider running a 20 amp line if you don’t already have one. This is the best youtube video I could find on the topic. Yes, it might be a bit of work, but resetting your breaker every time you drop a weld for more than 3 seconds isn’t fun either. If you’re a professional and want to have a welder in your shop just in case a bigger Miller 252 breaks…. Skip this machine. 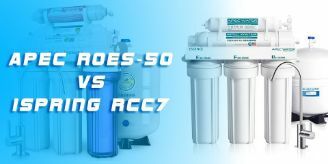 It’s not worth the price for the capabilities. In fact, I wrote an entire article about the Hobart 230. If your new and on a super low budget and need a welder and gear… go with this one. Exactly WHO should buy this Forney 140: The DIY’er who occasionally welds and wants a solid machine, technical support, and a great warranty. If you are a weekend warrior and dust off your machine to make an occasional repair or make an awesome bbq and have the extra money to invest in a welder for years to come, this is made for you. I mentioned that I was pleasantly surprised by this welder…. And I’ll tell you exactly why. The wire delivery was smooth. The gun felt nice in my hand, and the machine felt like it was solid. I mean well built and well assembled. This is definitely not a discount welder. If you’re a DIY’er in search of a great machine for your garage – pull the trigger and buy it!